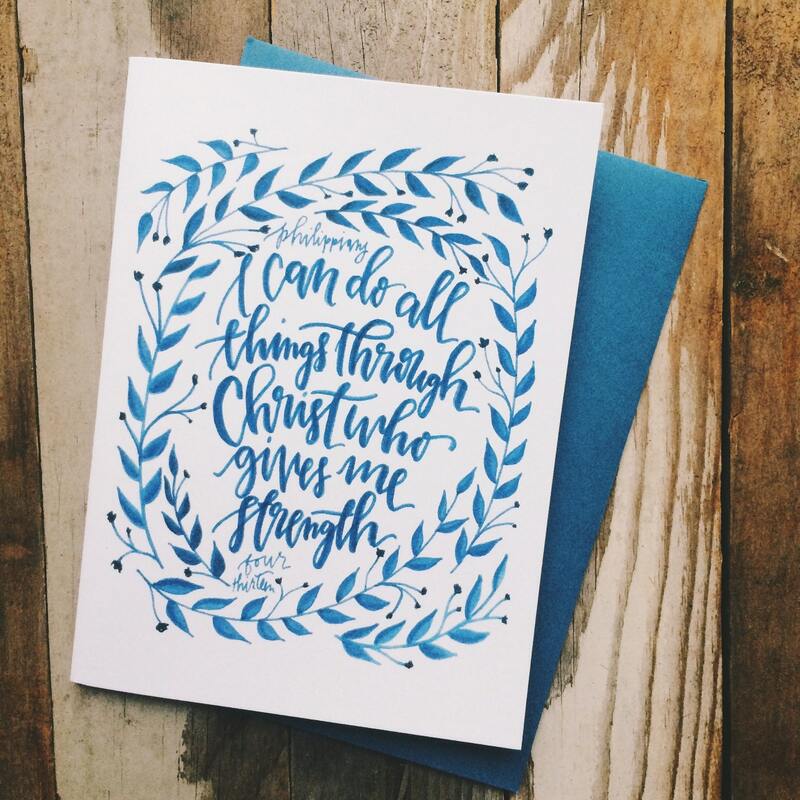 "I can do all things through Christ who gives me strength', from Philppians 4:13' is the perfect encouragement card for every believer going through a difficult time, or who needs a bit of extra sympathy and support. 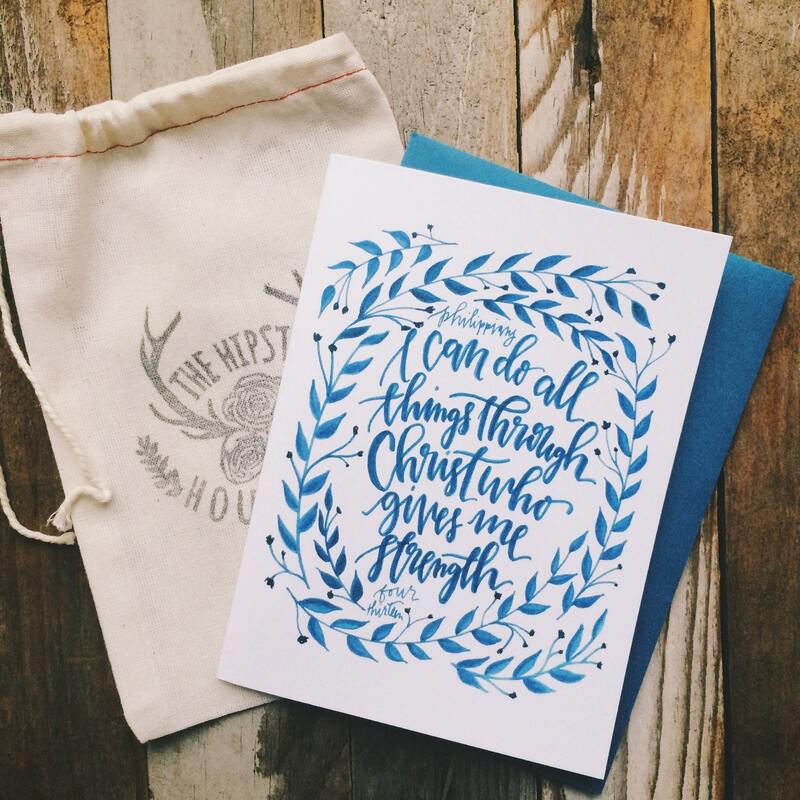 Professionally printed at my local print shop on luxe heavyweight card stock and includes hand stamped kraft envelope. A6 sized and blank inside. Also available as a boxed set, send me a convo and I'll set it up for you!